What to do with all this produce…fruit liqueurs | Jo's food bites. There is only so much fruit that I can freeze – the new additional freezer we bought last year for the bumper crop of gooseberries, plums and pears was only half empty and this year’s bumper harvest of rhubarb, blackcurrants and redcurrants have filled it completely again. I am now faced with 5 full tub trugs of apples and a couple of tub trugs worth of damsons still on the trees! I am, however, not complaining and I will manage to find space in the other freezers for most of the produce. It does however mean that I the liqueur making season is upon me ! People who know me always find it amusing that one of our cupboards is filled every year with an array of fruit liqueurs…amusing because I very rarely drink alcohol. There is little I enjoy more than being able to offer a tasty fruity tipple to accompany the food I make when visitors around. 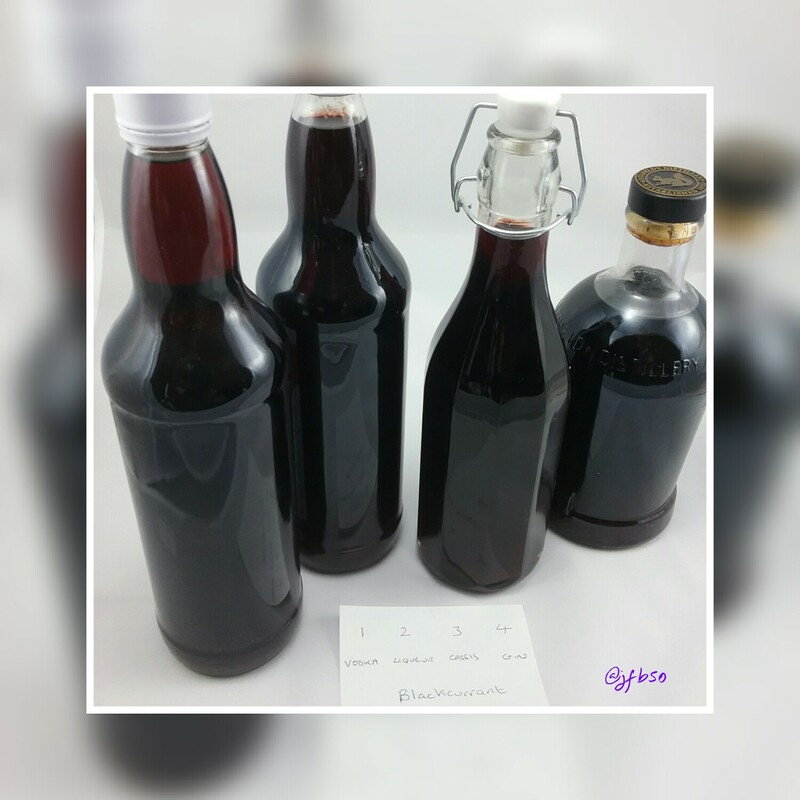 The selection in the picture is my array of blackcurrant liqueurs – vodka, liqueur, cassis and gin. If you were to rummage in the cupboard you would also find: redcurrant cassis, rhubarb and orange liqueur, damson gin, sloe gin, gooseberry vodka and pear vodka. I will put all my recipes on my blog over the next few weeks. I have hens and ducks so the feed does attract unwanted visitors but the presence of our dogs and cats seem to keep them at bay. here in Los Angeles, my dogs bark, but rats, racoons, & possoms laugh at them from tree branches. where are you? Shangri La?